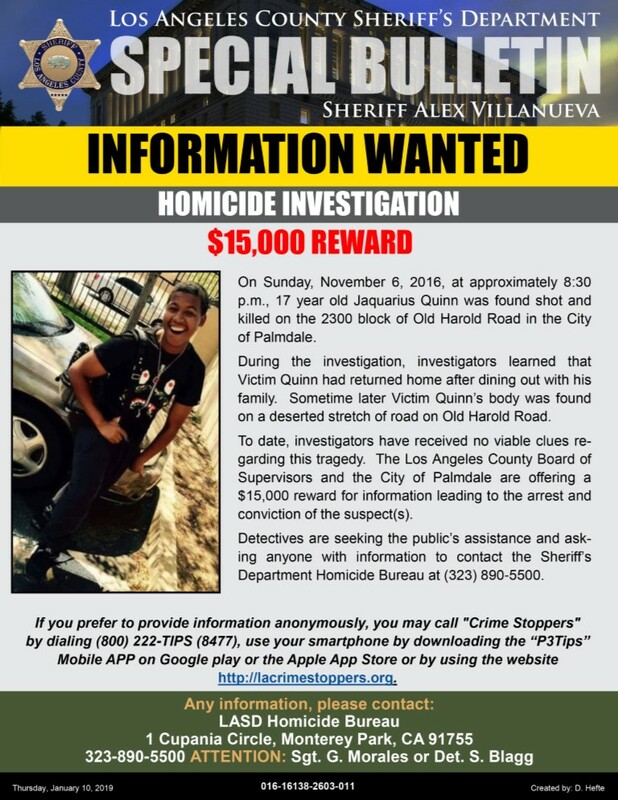 PALMDALE – Authorities Wednesday announced a $15,000 reward in hopes of finding the killer of a 17-year-old boy gunned down in Palmdale more than two years ago. Jaquarius “Jay” Quinn was found dead about 8:30 p.m. on Nov. 6, 2016, in the 2300 block of Old Harold Road. The teen had left his family’s home about three hours earlier, according to the Los Angeles County Sheriff’s Department. The R. Rex Parris High School 11th-grader’s hobbies included playing flag football with his friends, drawing, cooking and dancing, and he was hoping to become an actor. 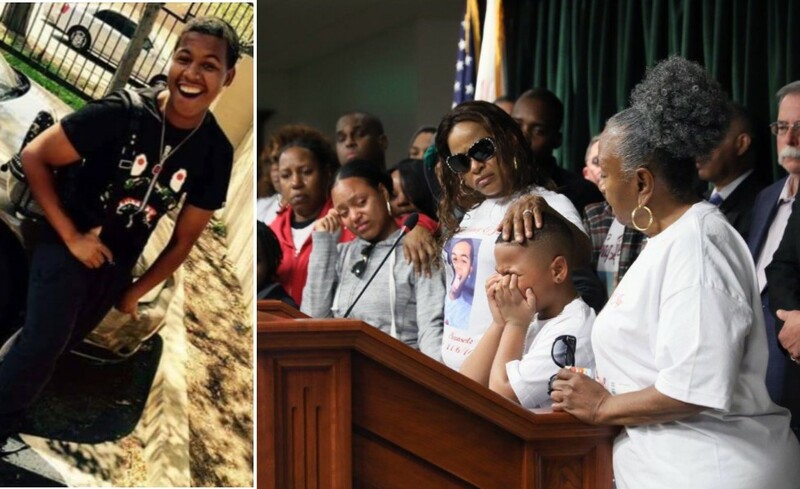 At a news conference Wednesday, Jan. 16, at the Hall of Justice in downtown Los Angeles, authorities and the teen’s family members appealed for help in solving the crime. Detectives are unsure of a motive for the killing; and to date, investigators have no viable clues to solve the teen’s murder. The Los Angeles County Board of Supervisors approved $10,000 in reward money and the Palmdale City Council offered $5,000 for information leading to an arrest and conviction. Anyone with information about the case is encouraged to call the Sheriff’s Homicide Bureau at 323-890-5500. 4 comments for "Reward offered for help solving 2016 killing of 17-year-old boy in Palmdale"